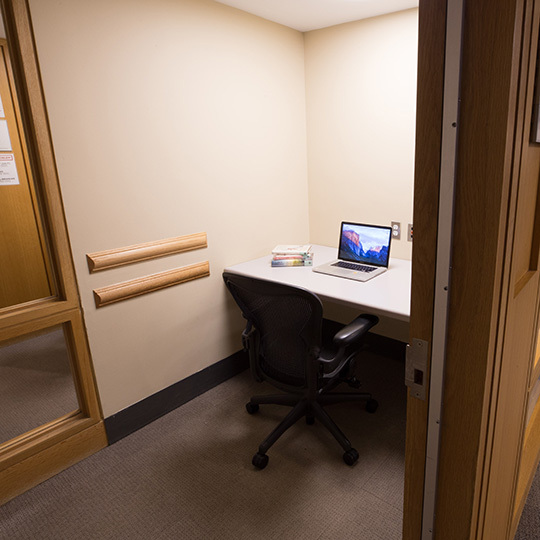 Reservable individual study rooms are available in Bobst Library on the south side of Lower Level 2 (LL2-10 through LL2-17). These rooms are recommended for quiet, individual study. Log in with your NYU NetID. Enter your preferred time, date, and reservation length. Undergraduates may reserve a room for up to 2 hours at a time. Graduate students may reserve a room for up to 3 hours at a time. You may reserve a room 14 days in advance.